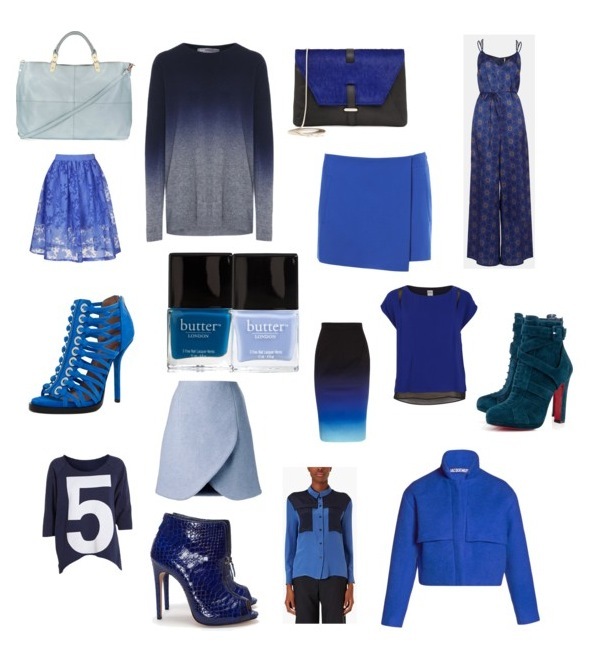 If the color palette were in high school, blue would have been crowned Prom Queen at the 2013 Emmy Awards last-night. Even my 75 year old Uncle Ginny could have derived the common hue from only watching the first 15 minutes of the pre-show. Had me wondering – how could this happen? You’re telling me that over a dozen stylists, whom have the pick of any dress by almost any designer all over the world, all recomendded shades of navy, periwinkle, and teal to their A through C list clients!?! Not that I am compaining! I could not have enjoyed these looks more (although not many made my top 5 of the night, but stay tuned for that). Blue has the unique ability to look fall forward while still complimenting the glowing, end-of summer skin of H-wood’s starlets. It is the perfect transitional color, especially for those of us who want to look current, reside in warmer climates, and are fighting for that change in seasons feeling! Feeling inspired to add to my Fall wish list!